You have probably heard that you should start blogging for your business. 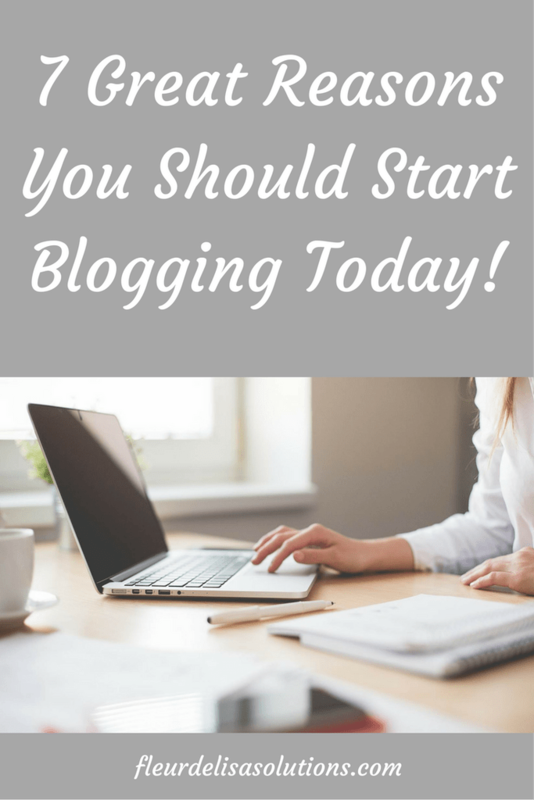 Maybe you have even wanted to start blogging but have not done so yet. My question to you is: What are you waiting for? Believe me, I have heard all the reasons. There are many. Some folks claim they don’t know what to write about. Others don’t like writing. But the most frequent excuse (yes, excuse!) I hear is they just don’t have time, or it is too time-consuming. So, before I go into some of the many reasons you should be blogging for your business, I want to address the time excuse. First, I will tell you that to write a proper blog post you will probably need 2-3 hours, so if you decide to start blogging for your business, set aside at least this much time each week for each blog post you plan to write. If you think you can write a blog post in less than an hour, I guarantee you there is a lot you are not doing to make sure your blog is optimized and providing value. If you don’t have 2-3 hours per week to commit to a blog post, then your best bet is to hire someone to write blog posts for you. Not making the time for activities to grow your business is like saying you don’t want to grow your business, and I know you do. If you don’t like writing, rather than stress out over getting a blog post done, it is best to hire someone and concentrate on the things you love about your business. Every day you put off blogging because you don’t have time, you don’t know what to write about, or you don’t like writing, you are missing out on potential clients. 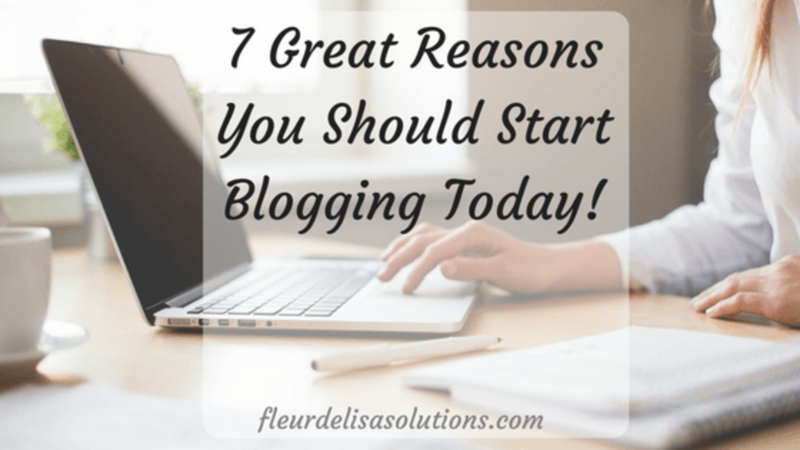 This leads me to the 7 reasons you probably want to start blogging today! So many people complain about low website traffic and ask how to get more traffic. While there are many ways, one of the easiest things to do to bring more traffic to your website is to start blogging. If done right, blogging not only brings traffic to your blog, but to other pages on your website, which increases the chance of someone buying from you. One of the most important things blogging does for your business is it helps with search engine optimization and search engine marketing (SEO and SEM). It helps because when you don’t blog on your website, Google sees your website as stagnant. Google likes new content and tends to show newer content in search results. When you blog, you are regularly adding new content to your website, which Google likes. Not only that, each time you blog, you are adding more keywords and search terms that allow you to be found easier. This will also help to increase your website traffic. If the first two reasons aren’t enough to make you want to sit down right now and write a blog, I have a few more reasons to share with you! If you have a new business or if people just don’t know you, blogging helps establish credibility. If you repeatedly provide value, write about things your ideal clients care about and solve their problems, they will see you as a credible source of information. They will follow you on social media and will read your future blog posts. Blogging is a simple thing to do to show your audience that you know what you are talking about. This leads me to number 4. After you are blogging a while and have established credibility, your readers will see you as an expert in your field. This is important because people seek out experts when they have problems. Your job is to BE the expert. Don’t worry when people ask a question you don’t have the answer for. No one knows everything. Simply let them that you will get back to them and then DO IT! Being the expert and a go-to resource for your audience should mean more business for you! People tell other people who the experts when they are looking for one! Blogging alone will not increase your visibility, but when you blog you should also have a content distribution plan that WILL allow your blog to increase your visibility. Blogging, in and of itself, will not make masses of people come to your website. However, with a good distribution plan for your blog, you can greatly increase your digital visibility. Some experts believe you should spend up to 3 times as much time distributing your blog as you do writing it. Most people won’t spend that much time on distribution, but you should have a good plan in place reach people who are not in your circles. This should greatly increase your online visibility over time! So far you have increased your website traffic, improved your SEO, established credibility, became the expert in the eyes of your audience, and you increased your visibility. All of this is important in growing your tribe. Your tribe will grow organically because you have done all of the above. You are reaching new audiences because you are now showing up in search results and have new people coming to your website. You are being seen by others as an expert and they are telling others. People now see you as a credible source of great information in your field. All of these things will organically grow your following and your business. Be sure to get folks on your email list as you grow your tribe. Email is still the most effective way to get sales for your business. Also, consider promoting your blog for more impact! Know, like and trust are the key factors you need for people to buy from you. Blogging helps people to get to know what you are all about. They then decide if they like you (not everyone will, and that is okay). You have earned their trust by consistently providing value through your blog. It is at this point that people are more likely to buy from you! So, are you ready to get started?